Light rail or Monash Drive to solve Northbourne congestion? Should we build the first stage of Light Rail or instead build Monash Drive to solve the problem of increasing congestion along Northbourne Avenue during peak times? The current Government plans to build light rail along Northbourne Avenue, but previous Federal and ACT Governments had planned to eventually build Monash Drive. Monash Drive had been proposed since the 60’s for the extra traffic anticipated when the suburbs of Gungahlin were eventually built. Shown on old maps, it runs behind Watson, Hackett and Ainslie from Northbourne to the City. It was dropped from the Territory plan in 2004, and from the National Capital Authority plan in 2009. Why has there been no public discussion about Monash Drive as an alternative to Light Rail stage 1? What is the cost-benefit analysis for building Monash Drive, and how does this compare with building Light Rail stage 1? What is the triple-bottom-line analysis (social, economic, and environmental impacts) for building Monash Drive, and how does this compare with building Light Rail stage 1? Has Monash Drive ever been costed and submitted to Infrastructure Australia for a grant consideration, and would they contribute? Majura Parkway will cost $288M and is 12km long, with dual carriageway and a large bridge at the southern end. The ACT and Federal Governments are each paying half the construction costs. Monash Drive would be about 8km long. Before Gungahlin Drive was extended (originally proposed as John Dedman Parkway), the debate was should we build either John Dedman Parkway or Monash Drive. In the end it was decided to extend Gungahlin Drive to the Glenloch Interchange and drop Monash Drive. Past Governments could have decided to build each road when the growth of Gungahlin required, and kept Monash Dr on the future plans. How would this compare to the construction of Monash Drive, which would mainly be on cleared land along the east of the Inner North? Either Monash Drive or Light Rail stage 1 might be most suitable for Canberra, but we will not know without extensive public debate. ACT Labor and ACT Greens are past the points for debate on alternatives and are well along the tracks of light rail. The ACT Liberals have opposed light rail but not proposed an alternative solution to the increasing congestion along Northbourne Avenue during peak times. Working in both Architecture and Advertising it is obvious that clients are largely their own worst enemies. They have an objective, then do exactly the opposite. I wondered what will be come of all the “Al Fresco” areas. Looking at the neighbours they had become the smokers nook. A table, 2 chairs and an ash tray. Maybe the clients have a different way of getting to their “objective”, its just that its not the rubaiyat way. Maybe those that you seem to hold in low regard in their Al Fresco / smoking areas, with a view of the neighbours wall, in their boring looking box houses that all look the same all the way down the street, have no choice – its what they can afford. Planning, house design & siting isn’t exactly a forte in Canberra. And besides, architects cost a fortune anyway. Its development at all costs Im afraid. As the development and infill will be along the tram corridor too. When I asked one particularly gloomy example, where the blinds that went up, not down, to hide the view of the neighbour’s gutters just outside the “picture window”, which way north was I got the usual blank, who cares look. It was rhetorical. I knew it was under the immense overhang that put the inside of the house into eternal gloom. Sadly people seem to live their lives in equally dim light, unaware of their surroundings, what is really in front of them and how different it is to their preconceptions. Creatures of habit, they walk over the same cliffs, eating the rubbish conveniently put in front of them, obeying the same insistent voices from the same people that have always used them. Sheep to be herded and shorn, nary an original or inquisitive thought amongst them. Well, it is obnviously not woth having a different set of values, views or priorities to rubaiyat, is it. You are free to have all of those, just get them right. There is a reason that the real estate agents get the the interior decorators to fill the house with art and aspirational furniture, then turn on all the lights and pump the heating up. The Café lifestyle on the brochure becomes the corner take away. The Sports Centre is empty except for people eating the burgers. It is all lipstick on the pig. Bait and switch. The Googong houses, particularly, are built on the cheap. Your heart may go all a flutter rommeldog but the beer goggles do wear off when you move in. Maybe YOU will never notice. You don’t like trams, so you work backwards from that, scrapping the barrel as you go. The fact that only you and rubaiyat are the only ones that know what “IS” means proves you are acting in consort with each other. Hardly, I have no clue who JC is other than the obvious possibility and I doubt he’d be bothering with this piddly forum. I don’t think JC even agrees with my basic argument of where and how the Light Rail should go and what should be done about the town planning in this town. On the other hand I do see a lot of concerted knee jerk denialism from you and several of the other posters. Most of it just pure emotion and not much thought gone into it. In contrast I think we have given an enormous amount of basic and fairly easy to do research in return. I get that a lot of your thinking is caught up in a lifetime of habit and “It just is” and “Always will be”. Your fear and rejection of all the science that is behind global warming is due to that, and a fear that how you live your live will be snatched away from you. It really is unfortunate. Many years of working in architecture and associated professions has taught me just how irrational most people’s thinking really is, and how futile it is trying to go through things step by step, even offering examples and actual research. People wear the most amazing blinkers and sleep with them on. Battling the “Just is!” is fighting windmills. I spent an afternoon looking over Wright in Molonglo to see where it is all going. Molonglo and all these new developments for all their flaws show what people CAN do if they set their minds to it. Bare ground only a couple of years ago is now this massive development that has swallowed up the countryside. Unfortunately, with the usual MacMansions squeezed on tight blocks, and the usual traffic jam in the making to get to the work commute. As an architect I found it immensely depressing that despite the superficial stuck on “modernism”, here we are in 2015 and people still insist on houses that ignore the wonderful sunshine we have nearly all year in Canberra. So bad in fact that virtually every house I inspected had all the lights and heating blazing. Do you want some road projects that have gone wrong too? Locally how about the GDE, yeah I know all Labors fault, but still a good example is it not. What about the cross city tunnel in Sydney? The Clem7 in Brisbane. Could go on. I am glad you raised the road tunnels as examples as these were funded by PPPs and their failures impacted on taxpayers and superannuation fund contributors. Additionally, the state governments had to continue underwriting the operating losses after the PPP failed. In all cases the projected number of users fell well short of predictions (like the turnout at the AWM service last week). 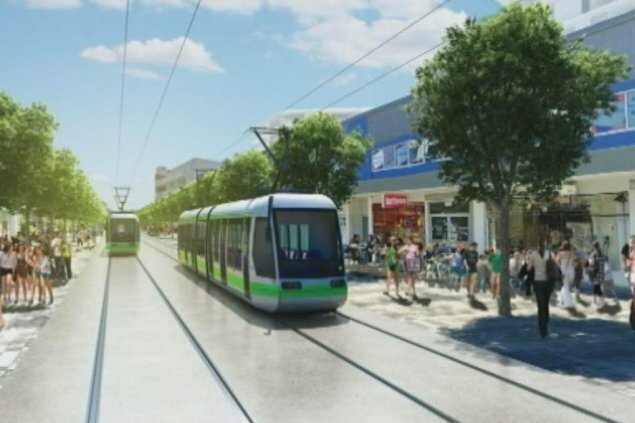 Industry experts have warned the ACT Government from day one that the Canberra tram project would be unlikely to attract backers for a PPP. Firstly which industry experts have warned the ACT Government. The road lobby industry, the Liebral party who are so despirate for a divisive issue to get into power. Which one? As for lower expectations, your right all those tunnel projects are proving to be less busy than expected. But lets look at light rail and some recent openings/extensions. Gold Coast, exceeded forcast demand. Dulwich Hill extension to Sydney, exceeding expectations, with severe over crowding. Edinburgh, despite the whole thing being a fiasco, started to exceed expectations within the first few weeks of operation. And comparing Canberra to Gold Coast, Adelaide and Edinburgh is pure folly as those three cities have lots of people, unlike Gungahlin. I didn’t want to rub it in because dungfungus is sounding like he is really back up against the wall. But there is the bridge collapse and other major problems on the Gungahlin Drive and the eternal delays on the Majura Parkway and the collapse of the earth moving company involved, the enormously long delays on the Weston Creek duplication and all the other ACT major road projects not to mention those outside the ACT such as the Hume & Pacific highways which split along long lengths of the pavement and had to be repaired repeatedly, as did the section near Mittagong on the side of the hill. Really we have little idea of what is going wrong on the many other road projects because they are not getting the knee jerk criticism, and dare I say it persecution, that Light Rail gets for all sorts of reasons but largely because there is a massive lobby out to make sure every single project gets immense irrational and vitriolic attacks. It is as if Roads is the white middle class guy with the old school tie and circle of mates from the rugby club. Roads is above reproach because it serves the status quo and the establishment. Rail and public transport is the black or jewish guy, with Light Rail the black jewish guy, if he doesn’t tip his hat and avert his gaze from “Missums” before stepping off the footpath as she passes or slips up in the slightest the anti-rail posse or lynch mob is on him. dungfungus seems relatively intelligent, but none of that extends to a recognition that at heart his opposition to Light Rail, and it seems public transport, is simply a prejudice. Nearly every single objection he has made has been either so trivial or ridiculous as to be laughable, and with my trained B.S. detector I have been having a field day with them. It does tie in with his other deep-seated prejudices such as the Global Climate Change conspiracy, so not unexpected. Nearly every critic in this and the other forums here has a huge blind spot to you can’t just let cars eat up the city and environment endlessly. In the AWM forum many simply can’t see why cars can’t just park all over the verges and parkland. Parking all over the nature strips and vegetation is just automatic. “Everybody just does it”. After all what is a car, especially that 4WD good for, if you can’t do whatever comes into your head when you feel like it. Just like the ads say you can. Lets face it it is Animal Farm: “4WD bad, two legs walking or catching public transport bad”. Ironically, but not unpredictably, the lack of exercise and personal mobility of drivers is turning them into images of the Napoleon in Animal Farm. Reason not being an option against that basic hypocritical selfish self interest that DRIVES them. I don’t have my back to the wall and yes, I am reasonably intelligent. I can also present my argument focused on the subject matter and not all over the place like a dead squid. Back to the light rail issue, my judgement on it has nothing to do with prejudice, it is based solely on common sense. The Canberra LRT proposal that is on the table is simply not needed, it is not viable and it cannot be funded without risking the future of the ACT. Really, one shouldn’t have to go any further but as long as you keep your enthusiasm for it I am happy to tell you why you are wrong. What do you have to worry about then? The trams won’t get backers and you can keep driving forever or until, the oil runs out, and the Climate Change really kicks in. After all there is still the 45% of Canberra that isn’t devoted to roads or carparks. “4WD bad, two legs walking or catching public transport bad”. I got caught up in the Animal Farm flip flop myself. You need to picture it with the trotters all in their waistcoats, monocles and top hats, whiskey and cigars in hand. …at the hands of people out to sabotage any worthwhile projects. The Dulwich Hill Light Rail line could have been built over a decade ago at far less than half the cost completely at private expense. Thanks to constant objections and added on requirements by politicians who simply “Jus’ Dun’ Wanna!” it only recently got completed at far greater cost and with a really crazy connection at the Duwich Hill train station. The same thing they did to the Sydney Opera House, driving Jørn Utzon out of the country so the mediocrities could then progressively mess it up. A closer example might be the Kalgoorlie pipeline where the lying W.A. conservatives drove the engineer in charge to suicide with unending false accusations, then had the gall to claim credit for the completion and cut the ribbon. We are never rid of these people unfortunately. Oh my how Canberra has changed. We can argue if it is for the better, but it has changed, yet the attitudes haven’t. Actually JC you really make an excellent point there. Canberra ITSELF is a classic example. A proposed city in a sheep paddock, with no population and totally remote from everywhere else. Only a few sheepherders and public servants on day trips. Nobody will come here! Building any infrastructure at all is a total waste of taxpayers’ money. There simply isn’t the population to justify a water fountain, let alone roads, or houses, or schools, or hospitals, or dams, or power stations, or shops, or offices, universities, or a railway station, or an airport… etc etc etc etc etc etc etc etc etc ad infinitum! Canberra will NEVER have a population of 385,0000 that will justify anything. Go to the Botanical Gardens and read the Hansard debates where the usual obstructionist, conservative politicians, who never can imagine anything, objected to the creation of the National Botanical Gardens always arguing for other priorities (the usual sacred cows) and for the perpetual postponement of the Gardens until after something else. Always something that they personally benefitted from. This was countered by one sole parliamentarian who pointed out just how long it takes to create something as worthwhile as the Botanical Gardens, and that NOW was the right time to start. I am sure we will NOW get the a stack of reasons why something that obviously did happen in the past, is COMPLETELY different! I know I am a bit of a raver but sometimes I like to hear a professional, so please carry on. Not at all. Your stream of ever more implausible excuses is quite useful. Imagine what it will be like when the visionary oligarchy build 1000 apartments in Northbourne Ave in a vain attempt to entice their occupants (if indeed anyone will buy them) to use the 100 year old trams. As opposed to people driving from the endless boundaries of the never ending suburbs, on never ending 10 lane roads, parking in unlimited amounts of free car parks but using 130 year old technology cars hey? Same same. Except of course modern light rail is nothing like trams of years gone by and modern cars are nothing like the first 1886 built (internal combustion engined) car. And land is no longer endless, roads need to be managed and the population density in Canberra, especially along the light rail route is getting higher. PS Tell me about the ongoing success of A Better Place electric car project.